David Denson just hit a home run for the gay community as the first openly gay professional league baseball player. 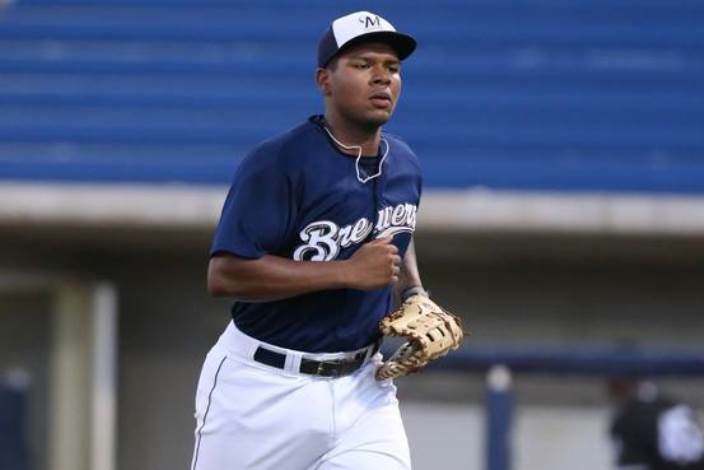 Denson plays for the Helena Brewers, the minor league affiliate to the MLB’s Milwaukee Brewers, and came out to his teammates a month ago after a teammate used a gay slur in the clubhouse. “Be careful what you say. You never know,” Denson told the Milwaukee Wisconsin Journal Sentinel after the incident. Denson soon after came out to his teammates to much support. Now that Denson has come out publicly, he has become the first ever openly gay active baseball player affiliated with a Major League Baseball team. Prior to Denson, two major league baseball players, Billy Bean and Glenn Burke, came out as gay but both of them did so after their careers ended. Bean is the MLB’s first Ambassador for Inclusion and he helped Denson come out publicly and counsel him on dealing with being a gay professional athlete. Denson has had a busy coming out year; just before revealing his sexual orientation to his teammates, he finally told his family. Denson’s sister reportedly responded with “I always knew” but his father and mother were hardest to crack because of their concerns for their son’s safety and well-being. His father was also a former athlete with fierce Christian beliefs and a use of derogatory anti-gay language. Ultimately, his parents supported who he is. Though it isn’t likely that Denson will see any major league baseball action – only 10 percent of minor league players make it to the majors and Denson is on a last place team—Denson became a ground breaking individual in LGBT baseball history for just simply admitting his true self.